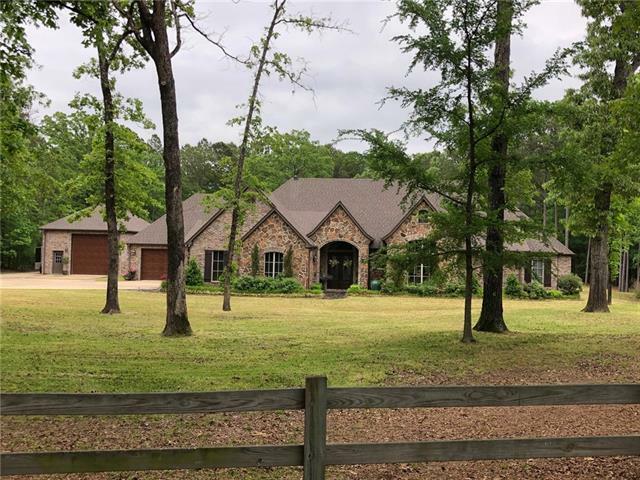 All Tyler homes currently listed for sale in Tyler as of 04/24/2019 are shown below. You can change the search criteria at any time by pressing the 'Change Search' button below. If you have any questions or you would like more information about any Tyler homes for sale or other Tyler real estate, please contact us and one of our knowledgeable Tyler REALTORS® would be pleased to assist you. 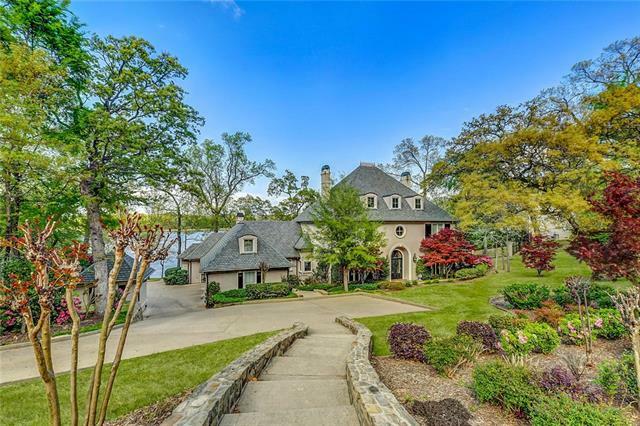 "This exquisite 2.059 acre 5 bedroom, 6 full baths, 3 half baths is the largest waterfront lot at the The Cascades of Tyler and located on Signature Hole #2. Castello Sul Lago boasts a large master suite & grand master bathroom. This sprawling home with generous kitchen, spacious office with library, large game room and a huge patio with a summer kitchen that extends off the family room provides for a unique 3 story dwelling perfect for entertaining. Many more amenities make this home a pleasure "
"6871 sq.ft. 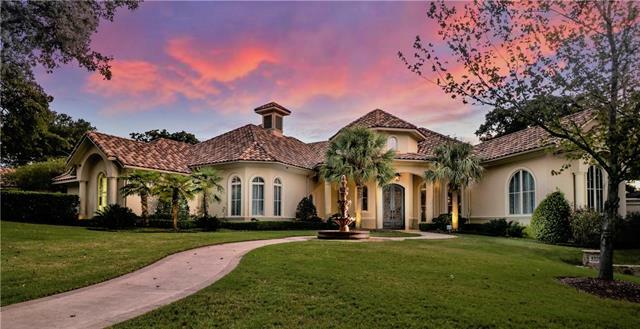 Italian farmhouse on over one acre waterfront lot in the prestigious golf community of Tyler Cascades. 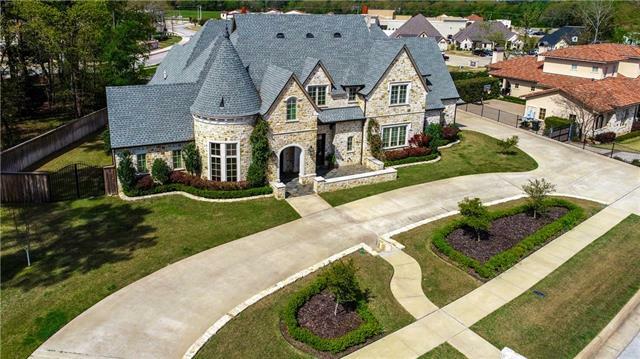 From the moment you arrive you will be greeted by an architectural designed grounds surrounding timeless stone exterior and tile roof of this custom built home. Upon entering you will be pleased by the lake front views, intricate details and flawless design, real estate imitating art. The majority of the sq. 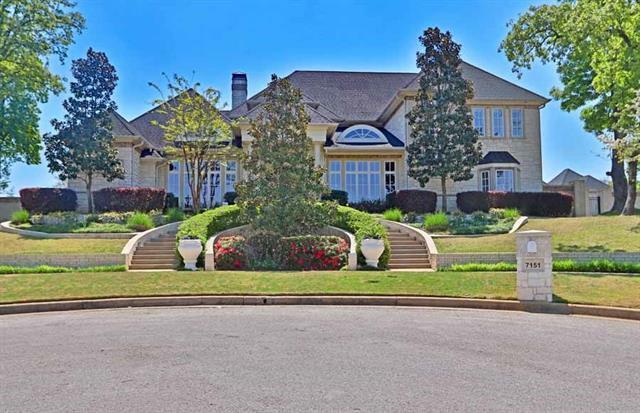 ft. is on the first level, home features 5 bedrooms, 5 baths, 2 half baths,"
"Welcome to Millefleur Estate, a tranquil, private waterfront retreat on 67 heavily-wooded acres with stunning views of a 5-acre private pond. No expense was spared in the 2017 remodel New Zealand wool carpets, custom stone fireplace surround, all new kitchen, hand-painted silk wallpaper in the Master, and much more. Brand new decking and railing open up the entire back of the house to views of the private pond and gazebo from the full-length covered porch. 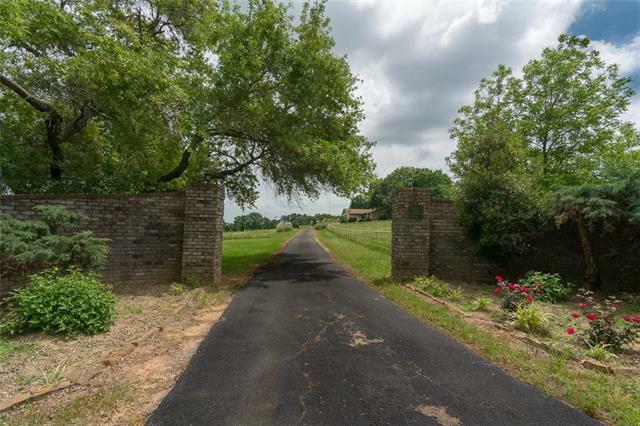 The gracious outdoor living spaces a"
"Development Opportunity on Hwy 69 Lindale Highway. This family farm is right in the path of development with frontage on Hwy 69 and Jim Hogg Road. Tyler Peaks is north of Tyler Pipe, and South of a new residential subdivision coming in. Will sell all or part. 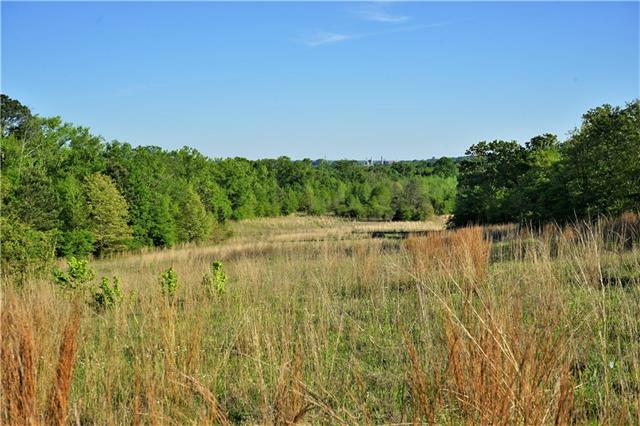 Lots of woods, two hay meadows, and huge rolling hills with incredible views right here in Tyler!" 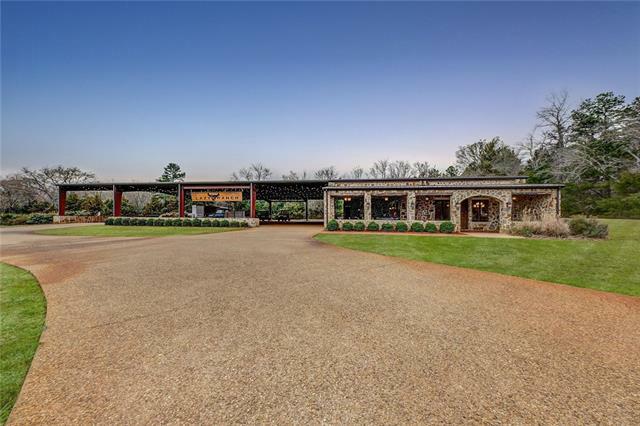 "Sophisticated East Texas ranch resting on 50 acres of picturesque land, surrounding the exquisite 5000 sqft residence. Boasts 4 bedrooms. 3.5 bath, chefs kitchen with brand new appliances. You'll love the custom crafted wood work throughout the formal dining areas, family room and master bedroom.. Over sized media room upstairs with kitchenette, room and game room.. Plenty of space to add a fifth bedroom if needed.. You will love entertaining on the patio with your pool and breathtaki"
"European Charm meets prestigious Oak Hollow for living a Grand Lifestyle with Premier Shopping&Restaurants just steps away!Beautifully appointed&exquisite details throughout this French Normandy Estate home on.60 acre fenced&beautifully landscaped lot includes Stone Exterior with Cast Stone Door&Window Surrounds&Slate Porches&Patios.Enter into Soaring 21' ceiling Entry with fabulous Barley Twist Staircase adjacent to the Large Formal Dining with Picture Frame Paneling opening to a Slate appointe"
"This meticulously maintained home features hardwood floors in main living areas, dining, & kitchen. Beautiful finishes and impeccable details throughout, including exquisite double staircase, decorative molding, hand painted murals, and high end luxury finishes. Two story living area has floor to ceiling windows overlooking the sparkling lake, a stunning fireplace, and custom built-ins. The gourmet kitchen has Fireplace, custom cabinetry, granite counters, appliances, gas cook top & built-in ref"
"Absolutely Stunning Home located in the Gated Winsford of Hollytree! 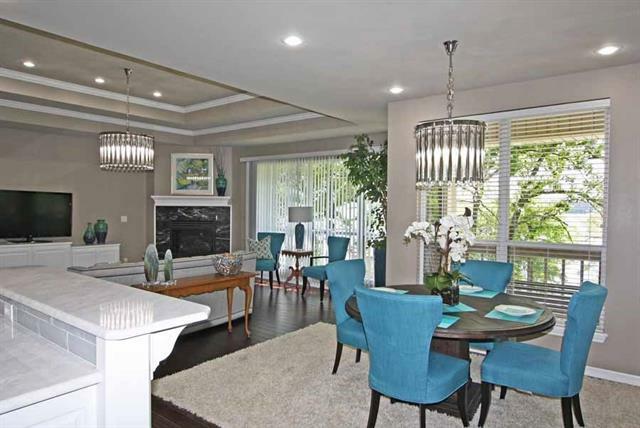 This home features gorgeous, high end finishes throughout! Step inside to the large entry with mosaic tile barrel ceiling that opens to the formal dining and living rooms. Fabulous gourmet kitchen with huge island, stainless appliances, gas range, excellent storage and opens to the breakfast area and living room which makes this home perfect for entertaining! 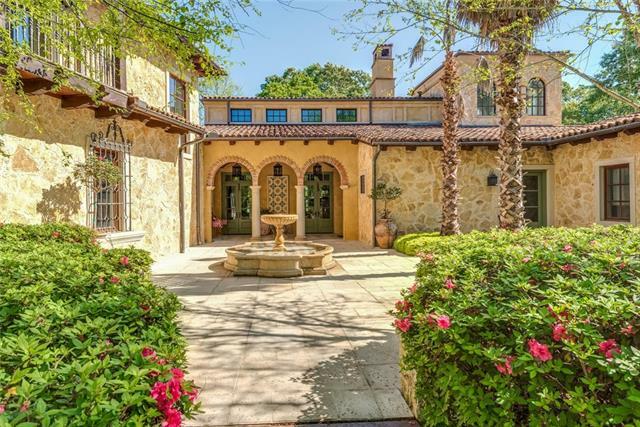 Split Master Retreat with luxurious bath, walk in shower and large tu"
"This Tuscan masterpiece sits on 3 private wooded acres in the exclusive gated community of Brixworth. The gas lantern-lit roadway winds through the tall trees and leads you to this stunning home. Oversized front doors open to a 2-story entry with stunning light fixtures, and an incredible pool view with floating spa and. Easy entertaining with multiple living areas including a game room and home theater with kitchen. Master and guest suites are on main floor. 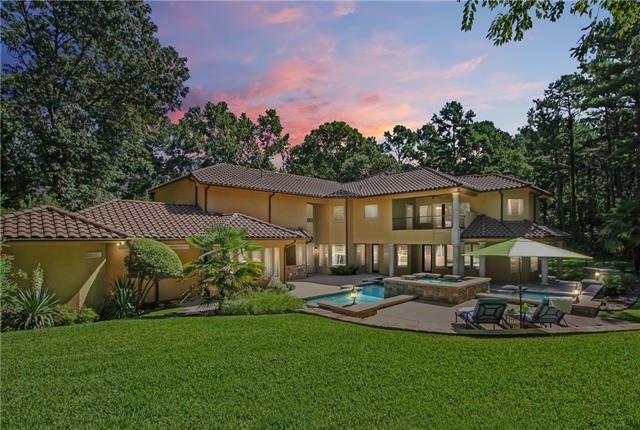 Full MIL or nanny accommodations inc"
"This luxury custom home is an architectural masterpiece surrounded by immaculately maintained artful landscaping with mature trees for privacy! Once inside you are welcomed by the grand spiral staircase and soaring ceilings with hand painted dome and stunning chandelier. Gourmet kitchen offers built-in Viking fridge & freezer, AGA range, dual sinks, & 2 dishwashers. Lovely wet bar with wine fridge & ice maker. 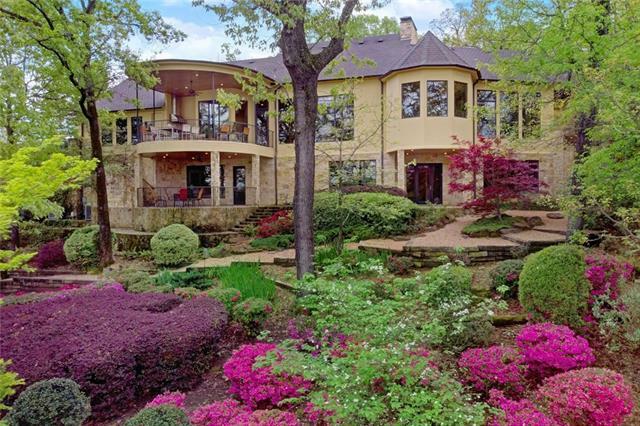 Master retreat offers panoramic views of the lake and lush landscaping. 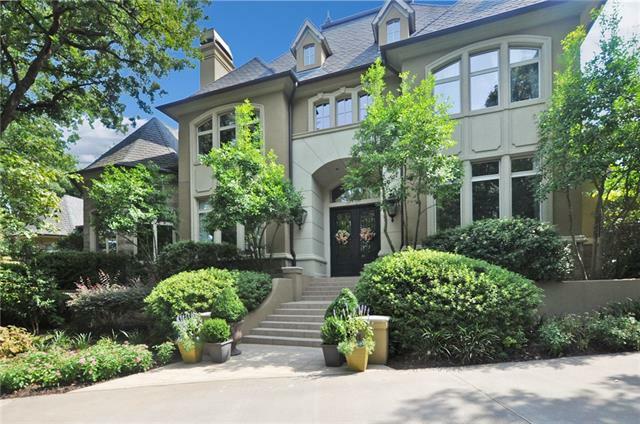 All three gue"
"Hidden away on the fringe of the city in a gated community is this immaculate 6 bedroom 5.5 bath residence plus study, game room, formal living, media room and more. The floor plan encompasses plenty of room for study, sleep and storage, sleek and stylish kitchen that flows through to the dining room and living area. The master bedroom, complete with walk-in closets and en-suite with a steam shower, ensures that parents have a private space where they can enjoy the view. Four bedrooms upstairs a"
"Beautiful European manor designed to impress! The formal living area features soaring ceilings, stone fireplace, and travertine flooring. The formal dining is steps away with rolled ceiling and Italian style finish. The kitchen features granite counter tops, baker's pantry, pull-out spice racks, stainless Kitchen Aid appliances, and more. It opens up to a 2nd living with wood flooring and fireplace. The ultimate game room features wood beams, stone fireplace, and bar. 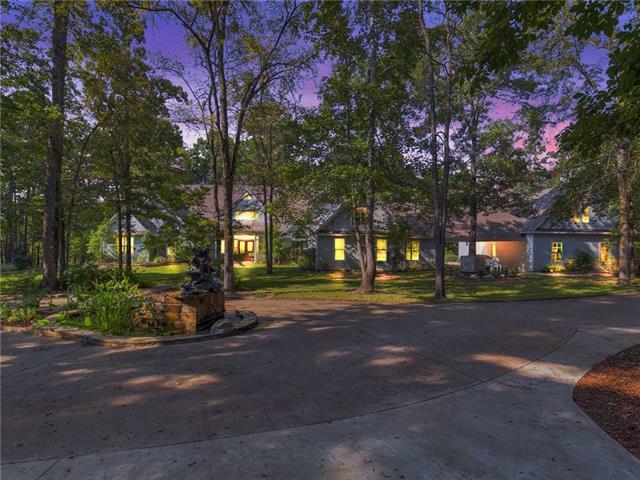 The master features a gas l"
"Stunning estate property on over 2.5 acres of beautifully wooded land. Quiet and serene, located near the end of a picturesque country road, just 2 minutes to all of the new shopping and dining in South Tyler. Beautifully remodeled with a new oversized 3 car garage and fully finished walk-up storage above. Main floor master suite with attached owner's retreat or nursery. 2 additional bedrooms on the main level with J-J bath - perfect in-law suite. 4 bedrooms, 2 baths and lounge upstairs. The ori"
"Spectacular home, Soaring windows, balcony and veranda across the back offer captivating views of pool, golf course and amazing sunsets. 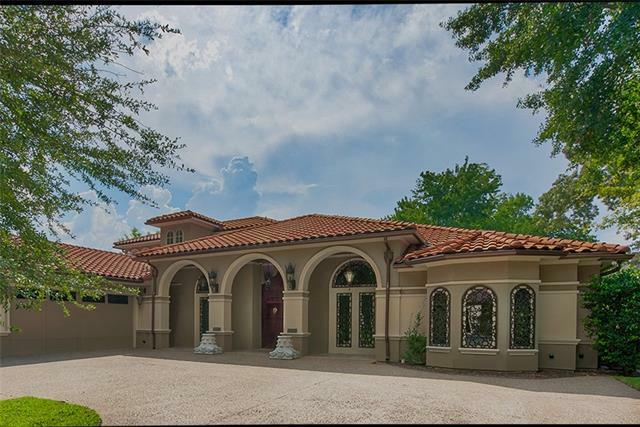 Traditional elegance meets modern luxury in this exceptional 5136 sq.ft, 4 BR,5.5 BA, 3 living areas custom home. Kitchen has large island, Viking appliances & opens to dining(view of pool)and the spacious family room with FP. 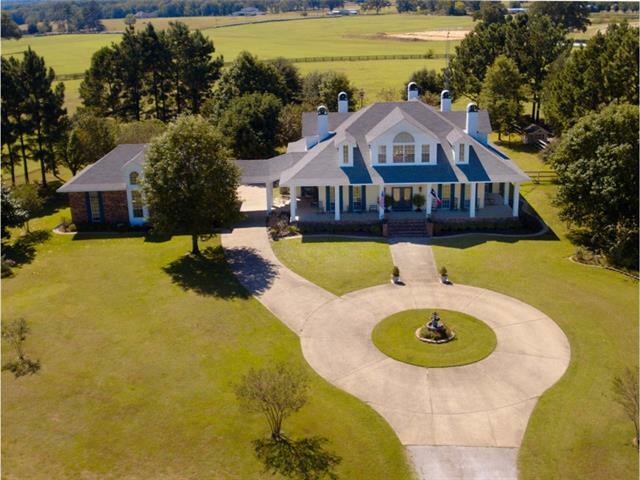 4 en-suite bedrooms(2 upstairs)includes downstairs master & luxurious bath w walkin shower, footed tub, separate vanities and coffee bar"
"41 acres in prime South Tyler development corridor. Large home could be remodeled - along with small caretaker's home and barn - or develop the land which also includes 2 ponds, pastures and rolling hills. Surrounding area is being redeveloped by several Tyler area builders. New roads being cut with more direct access coming soon to Old Jacksonville Hwy, 3 Lakes Middle School and Fresh grocery store. Majority of land currently has AG exemption - 37 acres taxed at only $139 per year." "One of a kind gorgeous home in the Cascades! 4 BR, 4.5 baths with 4835 sq. feet. Stunning would be an understatement. Features include a wine cellar, office, gourmet kitchen, Koi pond, 2 living area, spacious bedrooms, 2 beautiful balconies, and much more! Amenities include golf, indoor tennis, lake, marina, spa, salon, walking trails, clubhouse, fine dining and more! Come see and fall in love!" "This beautiful, plantation style home sits on a hilltop overlooking 22 acres of coastal meadows. It features a spacious wrap around porch with an extended breezeway leading to a 3 car garage. Upon entering, you will be immediately 'wowed' by it's winding staircase and beautiful wood ceiling. There is over 6,000 sq ft under roof, including 4BR 4BA with an extra room downstairs which could easily be a 5BR or office. Nice kitchen, open dinning area. A large game room which leads out to a beautifu"
"4 or 3 + Office 3.5 Dbl garage w bonus area in attic, Sgl garage, 24x40 RV foam insulated garage w shop. Beach entry gunite pool w waterfall, fire pit on 3.876 acres. Gourmet Kitchen w lg granite island, custom cabinetry, hammered copper sinks, 5 burner gas cooktop, Dbl ovens Trophy Game room with bar, mini fridge, .5 bath, tall vaulted ceilings, floor-ceiling brick gas FP. Lg dbl paned windows overlooking pool and wooded acreage. MBR split. MBath w lg aerated tub, sep shower, his her vanities"
"Stunning example of classic elegance with exquisite attention to craftsmanship and detail! 5 large bedrooms - Master Suite plus 2 others downstairs - 2 additional upstairs. The master suite features a separate sitting room with fireplace, 2 full his-hers baths plus built in dressers, numerous closets and a dressing room for her. Multiple living areas allow for a library, game room, formal living-dining, and a bright and sunny solarium with kitchenette and half bath surrounded by a beautiful wall"
"Fabulous home on a corner lot in Stonegate! Beautiful wrought iron double doors leads into the entry with wood flooring. To the left lies a large formal dining area with butler's pantry. The west wing of the home features a large office with wood flooring, half bath, 2nd office space, and master retreat with see through fireplace into the master bath. The gourmet kitchen features a large granite island with bar seating and top of the line stainless appliances. It opens to the family room with Dr"
"Looking for a sophisticated unique ranch in the most desirable area? You must see this 25 acre ranch which boasts 3 bedroom, 2 full bath, (another full bathroom outside) open concept home with all the custom finishes anyone could ask for.. Step out to find your 100,000 gallon heated pool complete with a lazy river and hot tub to enjoy while you gaze out at your unparalleled rolling pasture views. Additional acreage available!!! Legal Tract 85(Pt. 210.94AC See Tr 80A, 84, 85A, 85B, 102)"
"This home has been totally transformed! Numerous updates including: the kitchen, master bath, guest bath, hall bath, new lighting, and so much more! This one of a kind waterfront property on the point! featuring amazing lake views from every window. 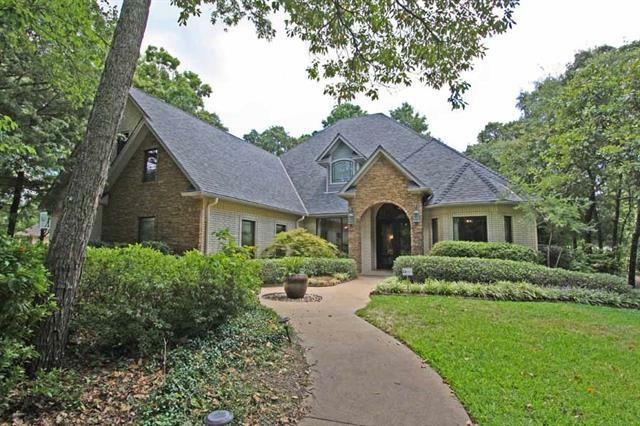 This gorgeous home is in located inside the only private gated community on Lake Tyler. The 1.2 acre lot (approx.) is breathtaking with over 70 hickory and oak trees and 408 ft of shoreline. Inside you will find 2 living areas, hardwood flooring and "
"This exquisite home sits on a corner lot in The Ridge in The Woods and features rich wood flooring practically throughout the home, 12 to 14 ft. ceilings with stunning mill work, and 3 fireplaces. The kitchen opens to the hearth room and boasts an abundance of cabinets, large island, double ovens, 8 burner gas cook top, and built-in refrigerator. A separate study overlooks the back yard with brick fencing and covered patio with cooking area. The master suite houses a sitting area and fireplace. "